I rarely write personal updates, but it feels like right now is a perfect time for one. Many of you already know why I didn’t publish any new articles at BloggerJet in the last 6 months. But many still don’t. So let me shed a little bit of light on what happened, as well as give you an idea of what will happen next. A few months into 2015 I got approached by guys from Ahrefs, who were looking for some help with their content marketing. I immediately agreed to jump in as I have always been a fan of their service and besides, I knew that the company was founded in Ukraine, which is my home country. To cut the long story short, what started as freelance consulting ended up as a full time position, because we enjoyed working with each other a lot. So what do I do at Ahrefs? …and quite often even talk to customers in our support chat. These are just a few from the top of my head, but the picture is pretty clear I guess – I’m a “jack of all trades” here. Obviously there’s no way for me to be able to do all of the above while having 6 hour time difference with the rest of the team. So I took my wife and we moved to Ahrefs’ headquarters in Singapore. selfie with someone taking a selfie – that’s classic! My description of Singapore in 3 words: warm, clean and hi-tech. Ok, I’ll add a few more words I guess: it’s also super safe (cameras everywhere), with lots of great food (especially seafood) and very friendly people. As you can probably tell, the last six months of my life were pretty hectic and that is the reason why I didn’t publish a single article here at BloggerJet up until today. But now I’ve settled all my issues and pretty much got used to the high pace at which guys at Ahrefs like to move. So I plan to allocate a bit of time every week to write for BloggerJet and share my “lessons learned” with you. Don’t write about marketing strategies that you have heard from someone. Only write about things that you have personally tried. In these last 6 months with Ahrefs I have tried quite a bunch of different marketing tactics – some of them failed miserably, while others worked like a charm. And the lessons that I’ve learned along the way are urging me to write about them here. When you put a lot of your time and effort into creating something cool – it’s very hard to completely detach yourself from it later. And it’s even harder to watch it stall. I couldn’t let it happen to the awesome WordPress plugins that I have created: TweetDis and Content Upgrades PRO – which is why I found a partner, who is now completely responsible for both projects (with a fair share of my guidance of course). So if you’re using any of my plugins – there’s nothing to worry about. My partner Nick will keep updating them with awesome new features that we have brainstormed together. And we have also hired a new girl to help us with support requests – the customer base keeps growing all the time and we needed more people to keep up with the volume of emails we get. That’s it for the “personal update” I guess. Nothing fancy, just a kind of “introductory post” to get things going. I have a few great article ideas in works, so make sure you are subscribed to BloggerJet and I’ll see you soon! Congrats Tim! Best of luck in Singapore. Good luck in Singapore Tim! It was really nice to read your story :) I was curious about what you do at your new job in Singapore! And I’ll watch your Youtube videos. I never would have thought that you were capable on something like this! Congrats Tim, sounds like you have landed a great gig. And in singapore, which is of course a fun place to live. Best of luck Sir, Hope to see some killing articles soon. Congrats again on the job at AHREFs. Looking forward to the new content you’ll be putting out on BloggerJet. Congratulations on your new job and new home! That is so awesome and you are truly living your lifestyle business that fits your passion and mission. Can’t wait for your new blog posts! Congratulations. And in Singapore, check out the libraries – amazing. Singapore, cool, I have never been, but would like to go some day. Will let you know if I’m ever stopping by! Singapore, huh… sounds like my kind of place – clean, warm, hi-tech, safe, and great food! Look forward to you getting back to blogging, Tim. I’ve been looking at our plugins in the last couple of days; love what you’ve done! thanks for stepping by, Ana! And thanks for your feedback about the plugins! I have a great partner who takes care of them, so a lot of awesome new features are on their way! Oh my god, It’s your blog. I watch your videos on Ahrefs youtube channel. You are really awesome. The way, you present is amazing. I am really going to subscribe to your blog and will read rest of the posts here. I want to feature you on my blog – Myquickidea.com. I have a loyal following for this blog. My blog audience would also feel good to see you there. May you please share your journey for my blog. I am going to start a section in my blog where I will list the success stories of internet marketers. I wish that I can begin with yours. Just like a great dream come true… Good luck! I really enjoy your blog and thanks for all this awesome content! Just a heads up that the link to your linkedin account is broken on your website. I remember your post on YouMoz years back and can remember thinking at that time that like myself you believed in testing before talking about tactics. Singapore sounds awesome! 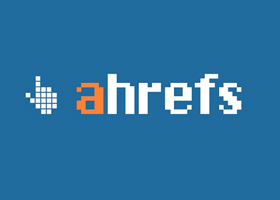 Warm, clean and hi-tech… ;) Great job so far at ahrefs. I appreciate your insight and tips. I regularly follow your actionable posts in both ahrefs and bloggerjet. The tips and techniques which you gave us are useful for our professional growth.